Jeffrey Walker lost his close friend and uncle to AIDS and almost lost his own life to a heroin/opioid addiction. Instead of giving in to his addiction, Walker found inspiration in his tribulations and used his experiences to pen his debut novel. 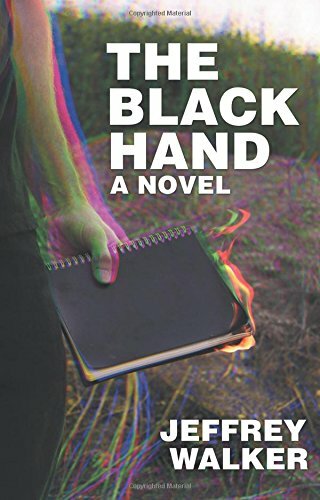 In “The Black Hand,” Jeffrey Walker tells the story of “Elliot,” who has spent years enveloped in a heroin addiction, when he suddenly loses his uncle and only friend. After crashing his truck while under the influence, Elliot ends up in a recovery center and his new, bizarre adventures begin. “As a society, we need to have more open dialogue about addiction and recovery, mental illness and suicide,” Walker said. A recovering addict, Walker knows first-hand the struggles of addiction and grief. He earned his BA in English from UC Riverside and has published a number of articles, essays and personal prose. Jeffrey Walker is a writer from Southern California. He studied English at the University of California, Riverside, where he first began writing creative nonfiction and personal prose for various publications. or follow him on Twitter @jeffwalkersdead. This entry was posted in authors and books and tagged addiction, fiction, Jeffrey Walker, The Black Hand. Bookmark the permalink.